This dream scene or fantasy has a beautiful color scheme and great design elements. Leave as is and use a ready background or separate the modern design elements for you original ideas. 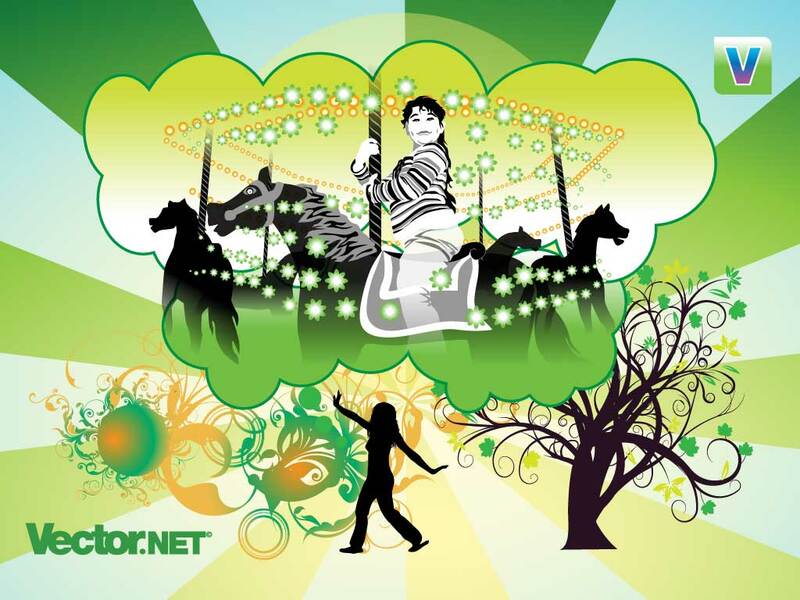 Tags: Amusement, Carousel, Collage, Dream, Fantasy, Fun, Horses, Merry Go Round.